There’s nothing surprising about another book being published by an author from Oxford, Mississippi. Faulkner’s town has been turning out polished and prolific writers for many years. But it’s especially exciting for me to announce a literary hat trick coming in September and October, since the authors and publishers involved are people I’m honored to call my friends. I’m got ARCs (advanced readers copies) of all three books, so watch for future book reviews and author interviews, but for today, mark your calendars and pre-order copies of these books! 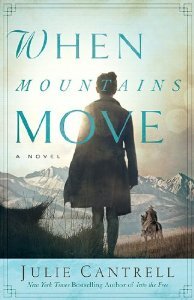 When Mountains Move, a novel by Julie Cantrell, author of the New York Times bestselling novel, Into the Free. I loved Julie’s first novel and I’m already intrigued as I begin to continue Millie’s story in her second book. You can pre-order your copy of the book from any independent bookseller, and you can order a pre-signed copy from Square Books in Oxford at 800-648-4001. 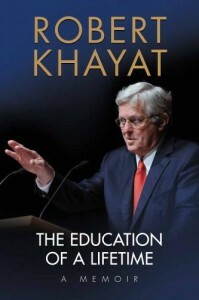 The Education of a Lifetime by Robert Khayat. Published by my friend, Neil White at The Nautilus Publishing Company in Oxford, this memoir by University of Mississippi’s former chancellor provides, as John Grisham says, “an unflinching look at the challenges, the adversity, and the ups and down of a career that ultimately transformed a great American university.” Pre-order from Nautilus Publishing or your favorite independent bookseller or come to one of Khayat’s special appearances this fall, beginning with the book’s debut at Square Books in Oxford on September 10 or Lemuria Books in Jackson on September 24. 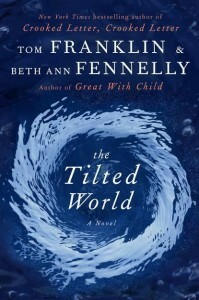 The Tilted World by Tom Franklin and Beth Ann Fennelly. I’ve already finished reading my advanced reader’s copy of this amazing novel, and hope to have an author interview here soon. Tom and Beth Ann both teach in the creative writing program at Ole Miss, and I’ve been blessed to have them as instructors in numerous writing workshops and conferences over the past six years, and to call them friends. They both have several books to their credit, but this is their first collaboration as husband and wife, and it definitely shines with the brightest lights of each of their literary gifts. Again please pre-order from your favorite independent bookstore, and watch their calendar for upcoming appearances. Susan, we barely met at this year’s Nonfiction conference in Oxford but I heard from others over and over again what a wonderful person you are. If anything, your posts about your accident and especially today’s post has confirmed that assessment ten times over. To help your friends publicize their upcoming books at a time when it even hurts for you to type–now that is a dedicated friend and a kind soul. I hope to get to know you better myself. Everyone needs friends that loyal! I’m praying for you and hoping the healing continues at a rapid pace. Thanks so much for reading and commenting, Nancy. I do remember you from the CNF Conference, and I hope you took home lots of great information and made lots of new writer friends. Thanks for the prayers and good thoughts!